"I love my kitchen! From the very start, Burlanes have demonstrated that they are experts in their field. The design team really took the time to understand how our family works to plan the kitchen perfectly. They even rolled with my strange request that I wanted a kitchen based on a mussel shell! Their personal and customer service was great, including design, the workshop, and Andy and the on-site and after-care team. I highly recommend Burlanes." "Burlanes really took the time to understand what we were looking for, taking account of both our style and our family's needs. 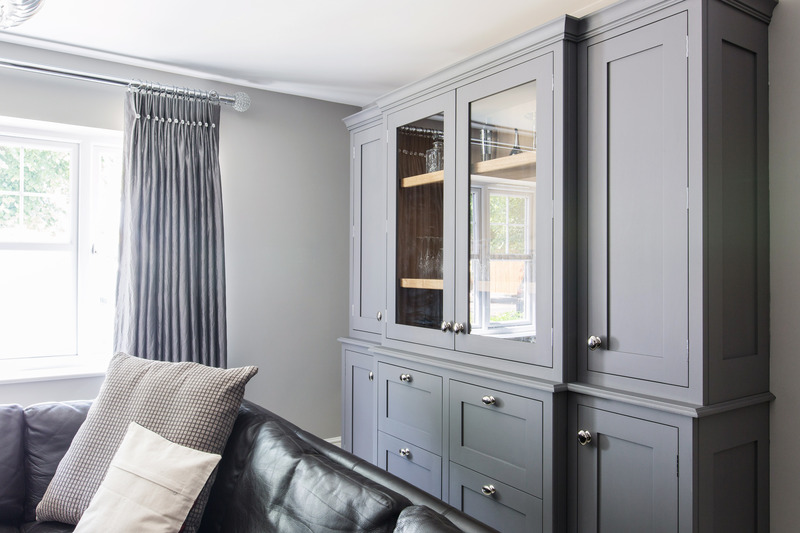 They designed us a beautiful dresser and media unit that are in keeping with our home, cover all the ugly switches & sockets we wanted to hide, provide great storage and are robust enough to withstand 3 children whilst still looking stylish and elegant. The service, from design through installation, was first class and we're thrilled with the end result." "We are thrilled with our beautiful bedroom. Lindsey cleverly created a design that meets all our requirements, accommodates many more clothes and accessories than ever before, yet is uncluttered and tranquil. 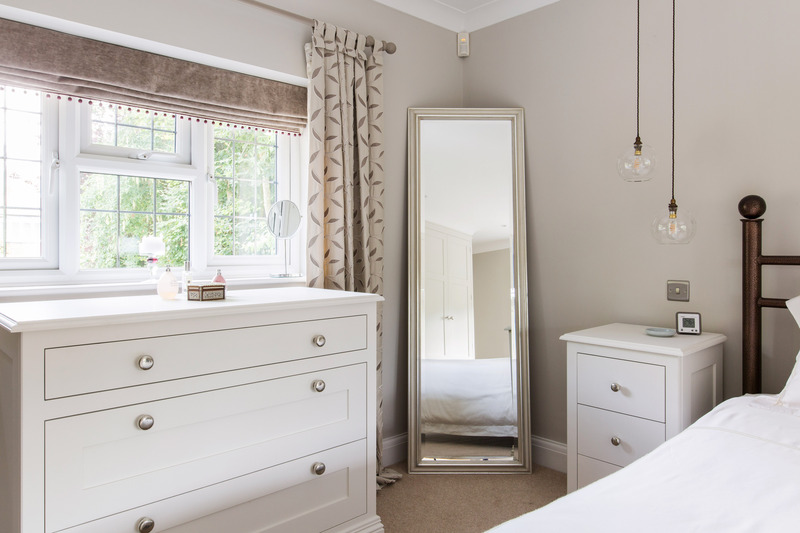 Her advice on paint colours and lighting was much appreciated; the pendant bedside lighting is as practical as it is pretty and delicate. Inspired! The Burlanes site team who carried out the installation were charming, Greg in particular. All his work was of a high standard, thorough and painstaking and our approval was always sought at each stage. Thank you all very much. Our new bedroom is just the sanctuary we had envisaged." 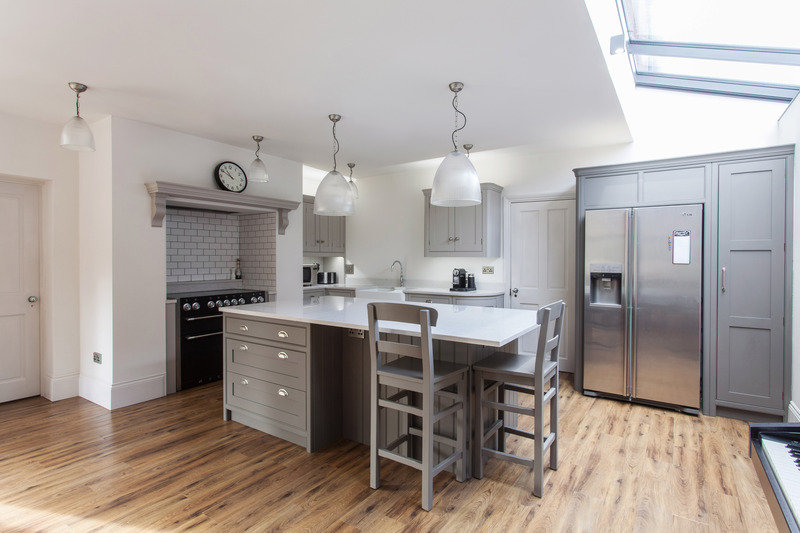 "Our Burlanes kitchen was designed and fitted in Winter 2017 and we are thrilled; we still can’t believe it is ours! 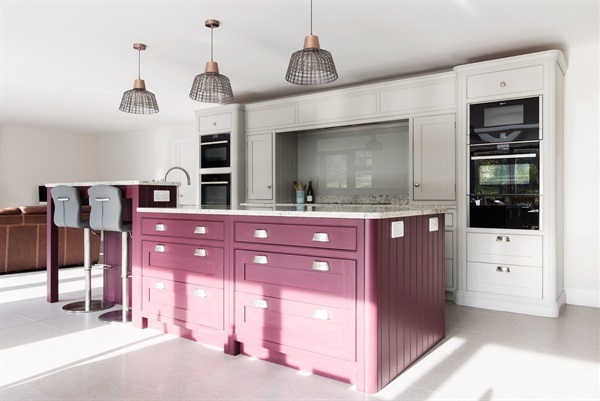 Having previously visited a number of kitchen manufacturers, we just had a feeling as we arrived at their Sevenoaks showroom that Burlanes would be the company we would be buying from. Within 5 minutes of speaking to Lindsey - it was a certainty. 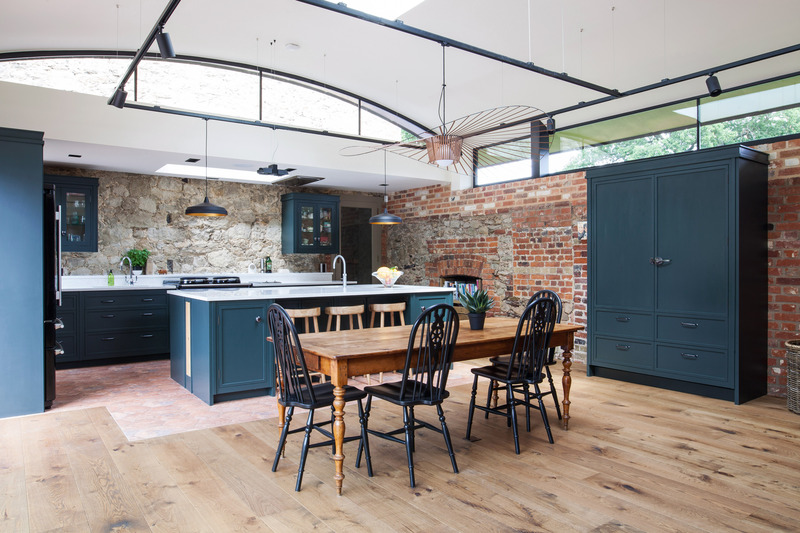 Burlanes always accommodated our perception of things throughout, from the design process right through to installation - they listened to us and acted in our best interests to ensure our kitchen was perfect for us. To us, this only confirmed that choosing Burlanes was the right decision, and we highly recommend the Burlanes team." "We are really happy with our Burlanes kitchen, utility and coat and boot room in our new extension. Our house has been completely transformed and we certainly get a lot of positive comments. Dealing with Lindsey and the Burlanes team was always a pleasure throughout and we very much appreciated their guidance and suggestions on what might work best for us. This included expert advice on large scale items right down to the smallest detail. All queries along the way were dealt with quickly and efficiently by Lindsay and the team. The project was delivered on time and on budget and we would therefore have no hesitation in recommending Burlanes Interiors." "We worked closely with the Burlanes design team throughout the entire design process, Jon was great in guiding us through each stage, and was so accommodating when we needed to make some last minute changes. The Burlanes team were always on hand to help and advise, from the first meeting right through to the completion of the project, and the installation team were lovely, particularly Luke! He was always willing to help and nothing was too much trouble. We have since been to social events organised by Burlanes, including their Wine Tasting evening at their Chelmsford showroom, which was great fun. Thank you to Burlanes for transforming our home!" "We have been so pleased with the team at Burlanes and the results of all their hard work. From start to finish Lindsey has been incredibly helpful and supportive. She has an incredible flair for design and colour and has provided a truly bespoke and personalised service. Danny and Andy and the installation team were very responsive and skilled in ensuring we got exactly what we wanted. The team at Burlanes were always able to overcome any issues arising out of our building project and were very solutions-driven. We are thrilled with the end product, which has been tailored to our lifestyle perfectly. Thank you everyone very much indeed." 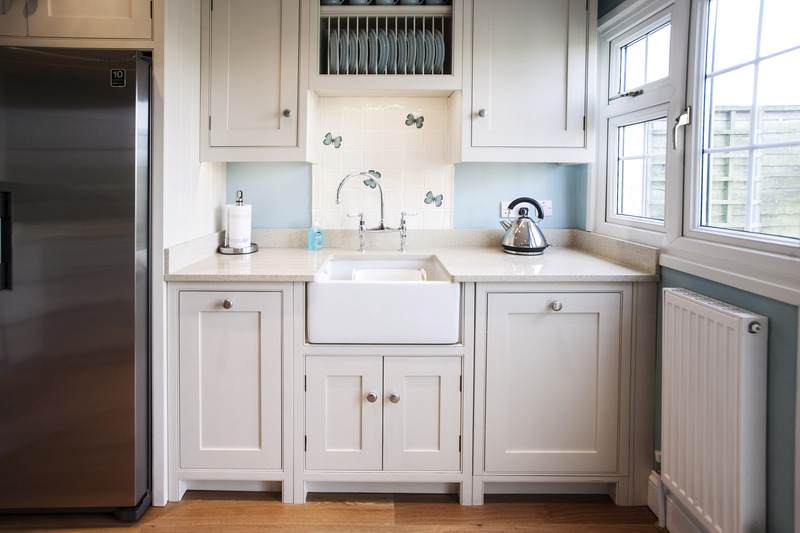 "We have used Burlanes to design and install our kitchen and numerous additional cupboards throughout our home. We have been absolutely delighted by our whole experience with Burlanes, from initial design stage with Lindsey, through to the installation team. 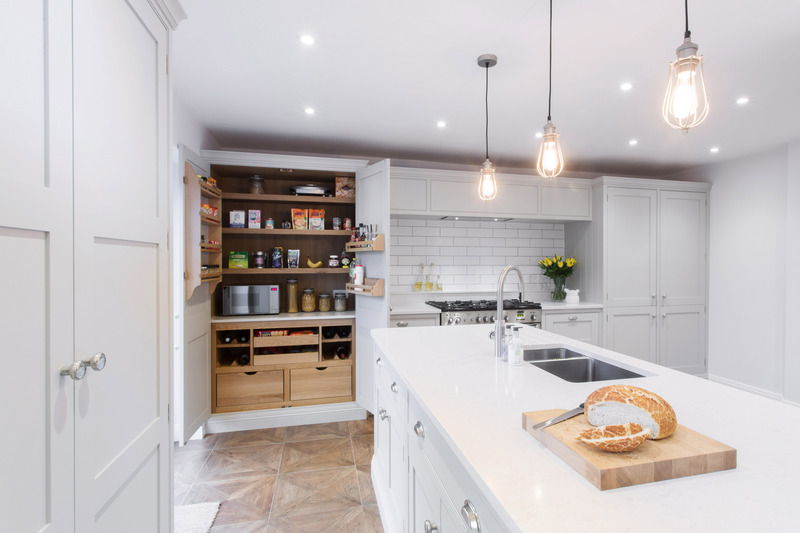 We have been so impressed by the quality of the product and fitting of every aspect of the kitchen and cupboards we have and I would not go anywhere else as you can not beat their craftsmanship or experience." "The service we received from Burlanes was extremely professional. From the initial deliberation and subsequent drawings and design, through to the installation itself, the staff and respective service were extremely well received. Not only was the installation and end result of the highest order, but all questions, concerns, and queries throughout, were dealt with efficiently and promptly and we would highly recommend. We will certainly be using their services again." 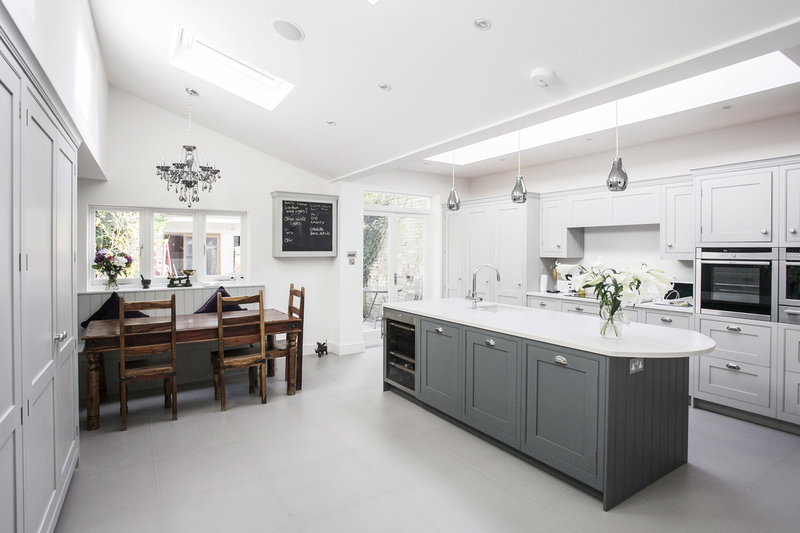 “We had been searching for a new kitchen for over a year and had had three abortive attempts to engage a supplier. Therefore, it was a massive relief when we finally found Burlanes. From the moment we started to discuss our requirements with Lindsey we could tell that she completely understood both our requirements and how Burlanes could meet our needs. Throughout the specification and design process nothing was too much trouble and the plans and quotes were delivered in double quick time. 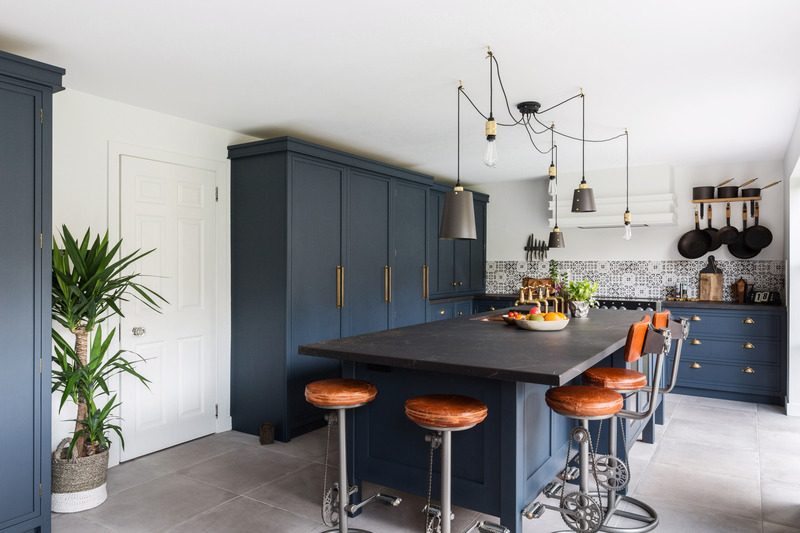 When it came to installation time the fitters had the same ‘can do’ approach and happily implemented the many little tweaks and changes we requested as the kitchen took shape. Danny also deserves a mention for his expert and efficient site survey and project management. Even when we requested some additional units whilst the installation was in process he managed to get them built and delivered before the end of the install. The kitchen is of superb quality, looks beautiful and the fit and finish is perfect. We couldn't be happier." "I was impressed with the service from the first meeting with Lindsey, who knew how to interpret exactly what I wanted, to the time the team left the site (on time and on budget) after making sure I was completely happy with everything." "Burlanes quickly and thoroughly understood what we were looking to achieve and helped us develop those initial ideas. Two things in particular stood out for us. We knew the level of specification we wanted to achieve and Burlanes showed us some excellent alternatives to our original ideas. Also the space we were working with had some limitations but Burlanes approached this positively and helped us find the right solutions without compromising on the end product. 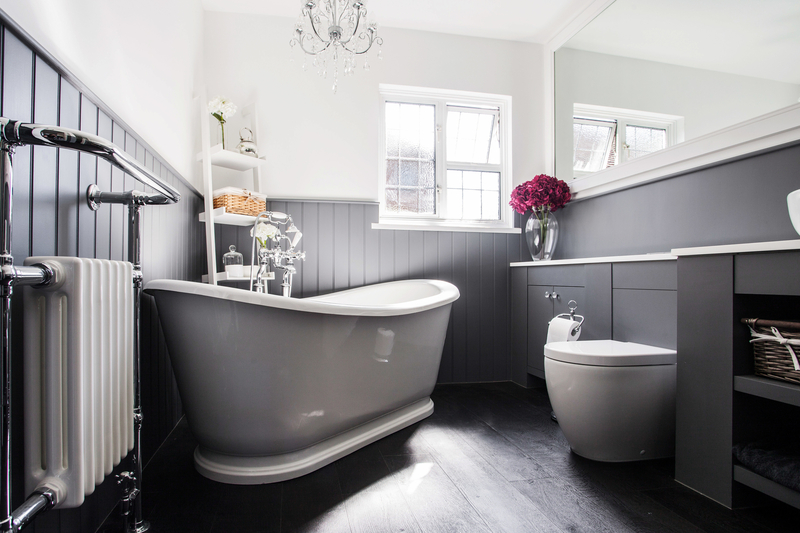 We wanted the bathroom to have a real 'wow factor' and it has totally exceeded our expectations. 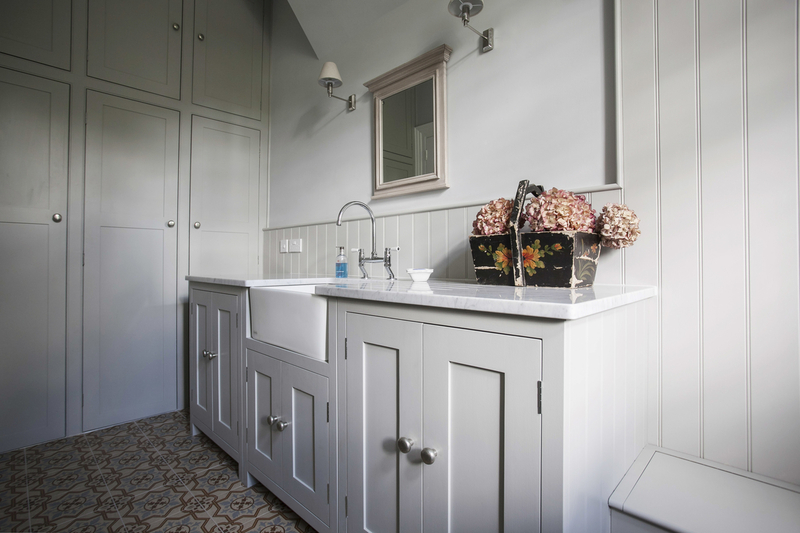 Our bathroom is no longer just a functional space, but a room we really enjoy spending time in." "From discussing the initial design to delivery of the finished table, Burlanes have been brilliant. The table looks even better than I imagined and we especially value the extra width for entertaining. "On my first meeting with Lindsey I felt confident that I would have the perfect kitchen and utility room, Lindsey has both the experience and expertise to achieve this. From start to finish the project ran smoothly and we love our new kitchen. Thanks to the Burlanes design team for all your help!" 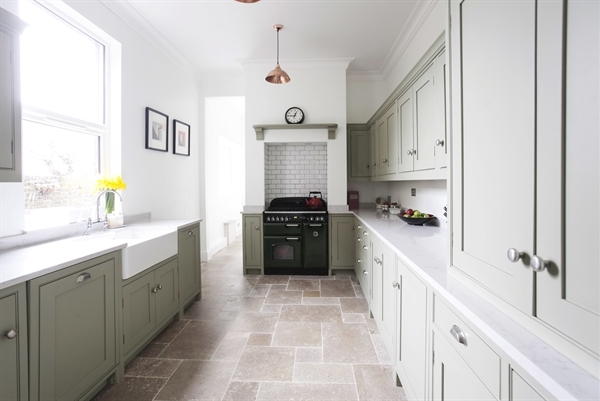 "I went to several different kitchen companies to find someone that could not only interpret my vision but deliver a high quality bespoke finish that was unique to me, the Burlanes team gave me this and more. Jarrett, on the design side of things was knowledgeable in his field and extremely patient with me to create my dream kitchen. Andy would always be to hand and make sure things ran on time and smoothly as possible throughout the build and installation. I feel everyone went the extra mile to meet my demands. Thank you Burlanes!" We love our new kitchen! It has given us the space and functionality we desperately needed. Working with Burlanes was a great experience, Jon, our designer, understood exactly what we were after and really brought our vision to life. The process from start to finish was very smooth and the whole team have been a pleasure to work with!" 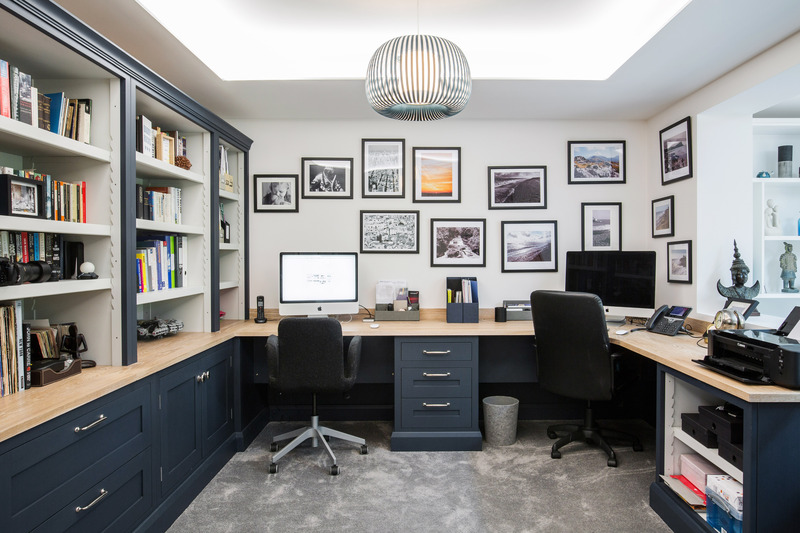 "I am very pleased with my new living room, bootroom and home office furniture from Burlanes. It gives me some much needed storage space and makes the most of the space available. The service was very good and everything is very well finished, thank you." "Lindsey helped us design some beautiful additions to our home. We started out with just a few ideas and it grew to some pretty major changes, we are delighted with the results! Burlanes have a fantastic, professional attitude with an outstanding installation team led by Andy, and we fully trust them in our home." "We really appreciated how Lindsey and the team spent time to understand and shape our ideas with their huge practical experience. The team was with us every step of the way and we have found the kitchen suits our family beautifully." “I can safely say that everything I ever wanted in a kitchen is in my kitchen, brilliant larder cupboards, great pull out shelves for the toaster etc and all expertly hand built. After our initial visit from their design team,I was confident that they knew exactly what I wanted even from my garbled ramblings, and I got exactly what I wanted! 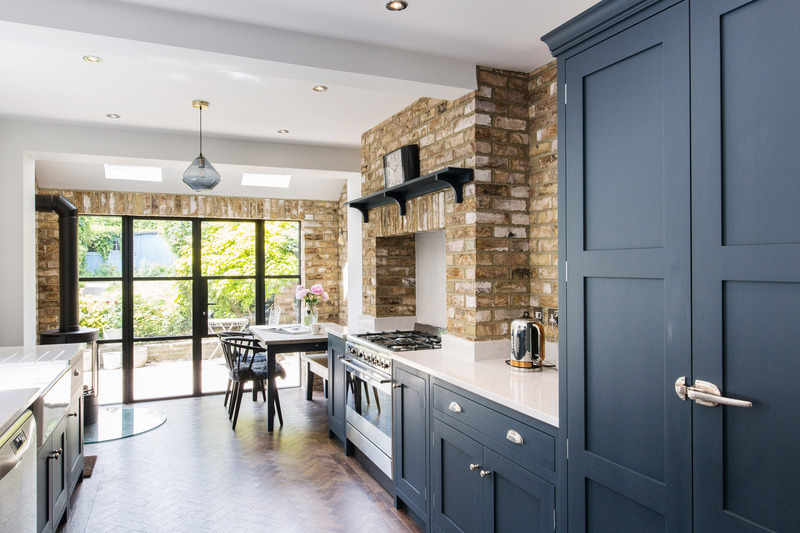 Burlanes designed the whole layout of the kitchen, and they really have made the most of all available space. "Every part of the process was handled by Burlanes extremely well, from the initial meeting with Lindsey right through to completion. At all times I was made to feel like I was their only client, which of course I wasn't but that personal touch was greatly appreciated. They instilled confidence at every stage! 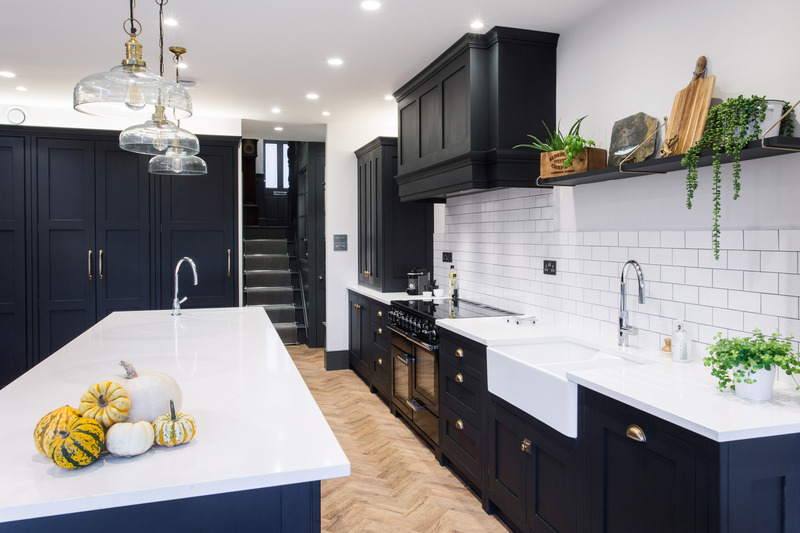 I had explored a number of kitchen firms and knew what I wanted, but Lindsey was able to advise on what would work in the space and finally came up with a 'wow' kitchen. She advised me on great finishes and products and ultimately I ended up with my dream kitchen. It was a big job taking 6 weeks to complete and Burlanes made it as painless as possible. The fitting and technical team were brilliant too and nothing was too much trouble. Although there were a few unseen hitches (from my side), this was worked around and the kitchen 'delivered' on time and schedule! I am absolutely delighted with the finished article and it works perfectly - better than I had imagined. " "It wasn't until I met Lindsey and the Burlanes design team, that I knew I'd found the right company to help! They are absolutely brilliant. Thank you so much, the kitchen looks absolutely stunning. Everyone who comes to the cottage thinks it looks beautiful." 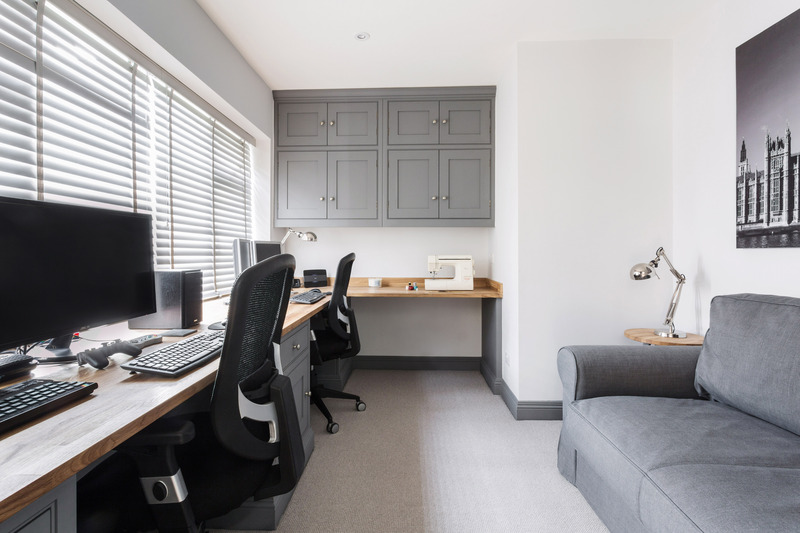 "We were thoroughly impressed by the service we received from the initial design through to the fit and subsequently are very glad we used Burlanes. A very refreshing customer-focused approach from start to finish. The real success of our kitchen design is how easy it is to actually use. 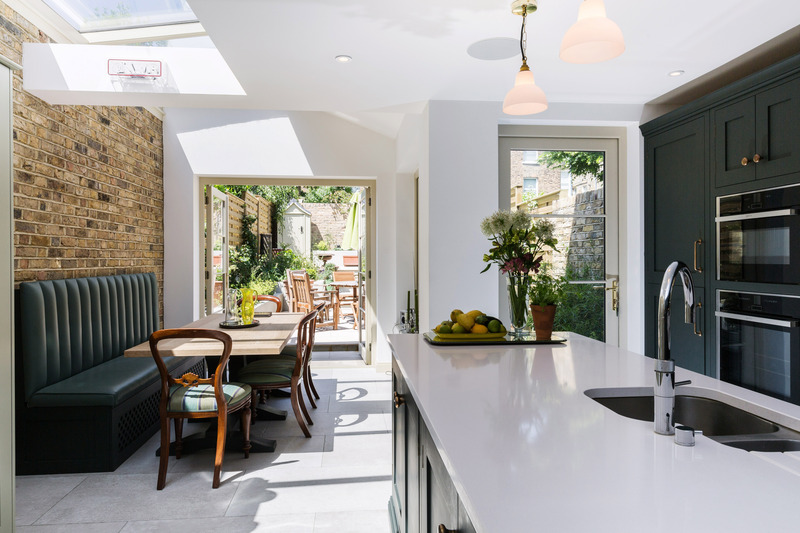 With Burlanes' help in planning each aspect of our kitchen and how it would be used means we have made use of every bit of space and the kitchen is very practical for busy family life. Our new kitchen has really made a difference to day to day life, the end result has exceeded our expectations. Thank you to the Burlanes team for creating our dream kitchen. We absolutely love it!" 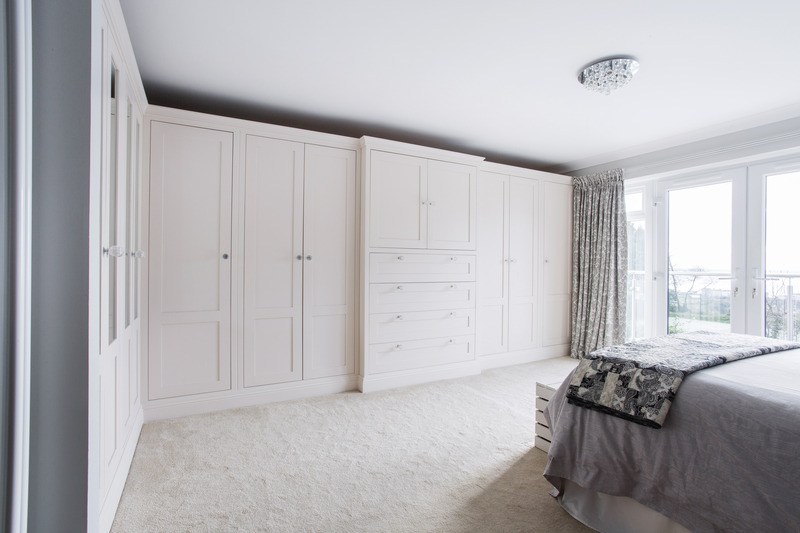 "The wardrobes are beautifully designed, provide the perfect amount of storage and tie in perfectly with our new bedroom. Burlanes have been great to work with and have created our dream space."